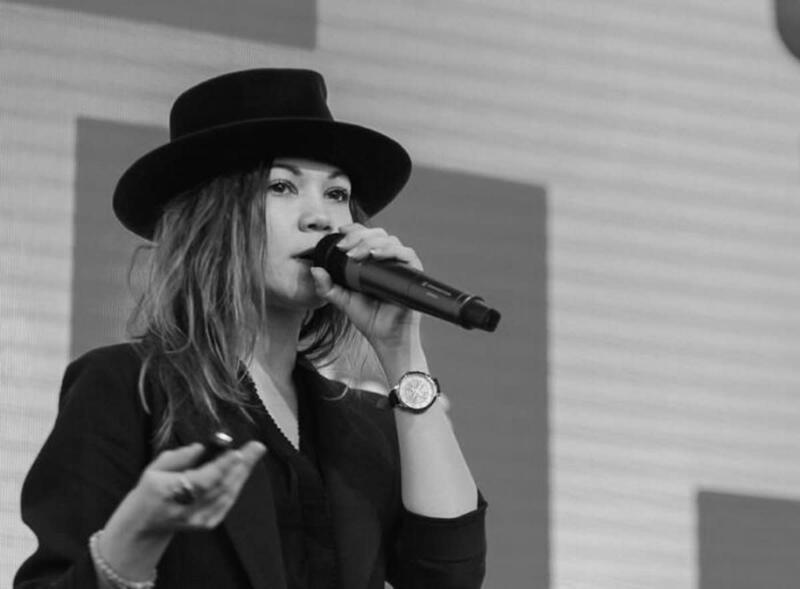 Roxana Nasoi spent some time talking to Blockleaders’ Fernando Sanchez about entrepreneurship, community building, her Cryptolaw podcast, and visiting 45 countries to get a better understanding of how society and communities work in different parts of the world. Today’s world is made up of 195 countries. Each of these countries is home to its own society, set of values, customs, traditions, and history. Each and every one of these places has something to offer to both the well-seasoned traveller and the accidental tourist. Something in its culture, architecture, people, or its technology. Blockchain technology may become the nexus that binds all of the world’s countries together, through the power of decentralization. Blockchain pays little heed to geographical borders or spatial limitations. Romania-born Roxana Nasoi has soaked her mind with the knowledge of technology acquired during her long and extensive travels across the world of today. She spent twelve months journeying through 45 countries, learning about technology, blockchain, start-ups, and building a community that spans continents. Today, this remarkable woman focuses on community leadership, strategic partnerships, and consulting work for a wide range of emerging industries, including Artificial Intelligence (AI) and blockchain. Roxana is a proud type 1 Diabetic, so ten years ago she chose to find alternative ways to make a good living without having to depend on a boss’ whims. She found entrepreneurship to be her natural home. “We were doing these entrepreneurial meet-ups in Bucharest, back in 2013-2014. So we’d meet up every Thursday morning, about 100 people every time. Over time, the community grew to 5,000 people in Facebook. The problem with that was, once a Facebook group reaches 5,000 users, you get classified as spam if you want to organize events, etc. So we needed to figure out a different way to reach out to the community. So my friends and I looked at building a website, and soon we were looking at blockchain. But to understand the concept of community, she first needed to understand how society worked. Roxana embarked on a journey across Europe to gain first hand knowledge. “I started travelling when I was 18 and visited several countries across western and eastern Europe. When I got back, I decided that I wanted to work for myself. Working with so many clients as a freelancer enabled me to have the freedom to do what I wanted when I wanted. Being a business owner is slightly different and I’m responsible for my employees, it’s not just about me anymore. I do like to take my time still. I have a place in Bucharest for instance, and when I’m there, I take a walk in the park, go into the office, have a cup of coffee, etc… Just to pace it. The issue of community building runs clear throughout Roxana’s career. I was interested to learn how she built and maintained international communities. “I’ll give you an example. One recent community I built was for the legal profession, lawyers on the blockchain space. I think there are about 120 people there now. It’s a small but very active community. So these people talk to each other, communicate with each other, and do some business with each other. “I do a lot of active listening, which means paying attention to comments from the group, learning, and finding out what’s missing. So for instance, for this legal community I found out that they wanted a space in which they could connect and feel that they have a purpose. Once you create this space and gather a few people, you give them a purpose, so they start talking to each other and the community grows organically. “It is important to identify the people who are willing to contribute, and those who contribute regularly. These are key people. And if you have key people who can help you to make sure that there’s a constant dialogue, that gives people purpose, so the community sustains itself. Roxana has learned a lot from travelling, visiting different communities around the world, and listening and talking to startups. Late in 2017, she embarked in a travel marathon around the world. Visiting 45 countries in the space of twelve months is no mean feat. Yet, this is exactly what Roxana did, and she used her time well. “Around 2016, after issuing those membership cards, some friends and I began looking at ICOs and thought that raising funds through Bitcoin and Ethreum would be interesting. Some projects turned out to be scams, though. “I accepted Bitcoin and Ethereum as payment for my services, so I had accumulated a nice amount. I cashed out in 2017 and started travelling. The decentralized nature of blockchain is perfectly suited for establishing an international community with ease. Roxana acquired first-hand knowledge about both ends of the spectrum, so I was curious to learn more about this topic. “Here in Europe we have a good workforce and a large user base, which means that we can expect people to use the technology, but fewer people who are willing to invest in the product. “In Asia, there are more people who are willing to invest, so what I found in Asia was a lot of crypto investment communities who were willing to talk to you, listen to what your project is about, etc., and put their money in. American inventor and philantropist Steve Wozniak once said never trust a computer that you cannot throw out of a window. In the modern world, humans rely on technology for pretty much every task of their daily lives, from making bread to ensuring aircraft stay in the air. Machines have become synonymous with evolution and, when technology fails, humans find themselves in a serious, sometimes deadly predicament. The crash of Air France Flight 447 in 2009 is a perfect example of how pilots depending on a technologically advanced flying machine found themselves in a hopeless situation when this technology failed. “Technology itself is neither good nor bad. It just is. You see a lot of emerging technologies in Asia, such as Artificial Intelligence (AI), Augmented Reality (AR), blockchain, etc. AR for instance is really big in Japan. Japanese society is completely different to European society. They work hard, and once they get a job in a company, they stay with this company literally until the end of their lives. “Yet, the Japanese are very isolated, and hugely value their privacy. Also, they consume a lot of technology, because it enables them to enjoy the security of their own home. So they watch a lot of movies, do a lot of gaming, and purchase the latest technology. The legal community project led directly to the creation of the CryptoLaw podcast, giving that community the space they needed to feel a sense of purpose. The podcast evolved and soon Roxana decided that they could include special episodes where people could discuss their projects, expertise, and experiences. Roxana’s latest project, Aimedis, is very close to her heart. A health care startup, Aimedis is Roxana’s personal crusade. She has had negative experiences with existing health care systems, insurance providers, and pharma companies, so she hopes to make a difference through Aimedis. “This project really resonated with me. Aimedis is a very complex project with a medical side where we enable transparent communication between hospitals, physicians, patients, and medical insurance providers through a private blockchain. And the project also includes a community aspect, which provides a space for patients and people to communicate. I was interested to hear Roxana’s take on how blockchain has changed so many different industry sectors. “It (blockchain) definitely made us realize things that are lacking in the current business interactions. I think it’s a huge wake-up call, and it has certainly helped us gain a lot more awareness. “Up until Bitcoin and crypto became a thing, I feel that we were like sheep, following an established path of paying fees and enduring little transparency and a lot of faulty systems. We, the people, were the fuel for these faulty systems as we are the users and consumers. Community building is one of the pillars upon which rests the entire blockchain ecosystem. Blockchain is by the people, and for the people, that’s why it is of capital importance to build a strong and resilient community around your project. Roxana has successfully done that several times over and knows a thing or two about what makes a community work. Now, she is using her experience to lead the Aimedis project forward, for the benefit of patients worldwide. You can follow Roxana through her LinkedIn profile or Twitter feed.